By submitting this form you agree to be contacted by a Baxter Toyota La Vista staff member. SUPER WHITE exterior and BLACK interior, LE trim. FUEL EFFICIENT 33 MPG Hwy/25 MPG City! WiFi Hotspot, Smart Device Integration, BLIND SPOT MONITOR W/LANE CHANGE ASSI... All Wheel Drive, Back-Up Camera, iPod/MP3 Input. READ MORE! KEY FEATURES INCLUDE All Wheel Drive, Back-Up Camera, iPod/MP3 Input, Onboard Communications System, Smart Device Integration, WiFi Hotspot Rear Spoiler, MP3 Player, Keyless Entry, Privacy Glass, Steering Wheel Controls. OPTION PACKAGES BLIND SPOT MONITOR W/LANE CHANGE ASSIST Blind Spot Monitor, rear cross traffic alert and lane change assist. Toyota LE with SUPER WHITE exterior and BLACK interior features a 4 Cylinder Engine with 203 HP at 6600 RPM*. VEHICLE REVIEWS Edmunds.com's review says The RAV4 has one of the most spacious cabins in the segment drivers and adult passengers should have plenty of room.. Great Gas Mileage: 33 MPG Hwy. WHO WE ARE Baxter Toyota La Vista, a full-service Toyota dealership serving Omaha, offers new, used and certified pre-owned cars. We're part of Baxter Auto, the largest dealer group in Nebraska. Located off I-80 and Harrison Street, our showroom is designed with you in mind. You can shop the complete lineup of new Toyota models in our showroom or walk our lot to browse our selection of used vehicles. Horsepower calculations based on trim engine configuration. Fuel economy calculations based on original manufacturer data for trim engine configuration. Please confirm the accuracy of the included equipment by calling us prior to purchase. MAGNETIC GRAY METALLIC exterior and BLACK interior, LE trim. Smart Device Integration, WiFi Hotspot, All Wheel Drive, ALL WEATHER LINER PACKAGE, BLIND SPOT MONITOR W/LANE CHANGE ASSI... Onboard Communications System. SEE MORE! KEY FEATURES INCLUDE All Wheel Drive, Back-Up Camera, iPod/MP3 Input, Onboard Communications System, Smart Device Integration, WiFi Hotspot Rear Spoiler, MP3 Player, Keyless Entry, Privacy Glass, Child Safety Locks. OPTION PACKAGES BLIND SPOT MONITOR W/LANE CHANGE ASSIST Blind Spot Monitor, rear cross traffic alert and lane change assist, ALL WEATHER LINER PACKAGE Cargo Liner, All Weather Floor Liners. Toyota LE with MAGNETIC GRAY METALLIC exterior and BLACK interior features a 4 Cylinder Engine with 203 HP at 6600 RPM*. OUR OFFERINGS Baxter Toyota La Vista, a full-service Toyota dealership serving Omaha, offers new, used and certified pre-owned cars. We're part of Baxter Auto, the largest dealer group in Nebraska. Located off I-80 and Harrison Street, our showroom is designed with you in mind. You can shop the complete lineup of new Toyota models in our showroom or walk our lot to browse our selection of used vehicles. Horsepower calculations based on trim engine configuration. Please confirm the accuracy of the included equipment by calling us prior to purchase. Smart Device Integration, WiFi Hotspot, All Wheel Drive, BLIND SPOT MONITOR W/LANE CHANGE ASSI... FOUR SEASON FLOOR LINER/MAT PACKAGE. MAGNETIC GRAY METALLIC exterior and BLACK interior, LE trim. EPA 33 MPG Hwy/25 MPG City! READ MORE! KEY FEATURES INCLUDE All Wheel Drive, Back-Up Camera, iPod/MP3 Input, Onboard Communications System, Smart Device Integration, WiFi Hotspot Rear Spoiler, MP3 Player, Keyless Entry, Privacy Glass, Child Safety Locks. OPTION PACKAGES BLIND SPOT MONITOR W/LANE CHANGE ASSIST Blind Spot Monitor, rear cross traffic alert and lane change assist, FOUR SEASON FLOOR LINER/MAT PACKAGE Carpet Cargo Mat, Carpet Floor Mats, All Weather Floor Liners. Toyota LE with MAGNETIC GRAY METALLIC exterior and BLACK interior features a 4 Cylinder Engine with 203 HP at 6600 RPM*. VEHICLE REVIEWS Great Gas Mileage: 33 MPG Hwy. BUY FROM AN AWARD WINNING DEALER Baxter Toyota La Vista, a full-service Toyota dealership serving Omaha, offers new, used and certified pre-owned cars. We're part of Baxter Auto, the largest dealer group in Nebraska. Located off I-80 and Harrison Street, our showroom is designed with you in mind. You can shop the complete lineup of new Toyota models in our showroom or walk our lot to browse our selection of used vehicles. Horsepower calculations based on trim engine configuration. Fuel economy calculations based on original manufacturer data for trim engine configuration. Please confirm the accuracy of the included equipment by calling us prior to purchase. Smart Device Integration, WiFi Hotspot, All Wheel Drive, BLIND SPOT MONITOR W/LANE CHANGE ASSI... FOUR SEASON FLOOR LINER/MAT PACKAGE. LE trim, MIDNIGHT BLACK METALLIC exterior and BLACK interior. EPA 33 MPG Hwy/25 MPG City! SEE MORE! KEY FEATURES INCLUDE All Wheel Drive, Back-Up Camera, iPod/MP3 Input, Onboard Communications System, Smart Device Integration, WiFi Hotspot Rear Spoiler, MP3 Player, Keyless Entry, Privacy Glass, Child Safety Locks. OPTION PACKAGES BLIND SPOT MONITOR W/LANE CHANGE ASSIST Blind Spot Monitor, rear cross traffic alert and lane change assist, FOUR SEASON FLOOR LINER/MAT PACKAGE Carpet Cargo Mat, Carpet Floor Mats, All Weather Floor Liners. Toyota LE with MIDNIGHT BLACK METALLIC exterior and BLACK interior features a 4 Cylinder Engine with 203 HP at 6600 RPM*. EXPERTS CONCLUDE The RAV4 has one of the most spacious cabins in the segment drivers and adult passengers should have plenty of room. -Edmunds.com. Great Gas Mileage: 33 MPG Hwy. OUR OFFERINGS Baxter Toyota La Vista, a full-service Toyota dealership serving Omaha, offers new, used and certified pre-owned cars. We're part of Baxter Auto, the largest dealer group in Nebraska. Located off I-80 and Harrison Street, our showroom is designed with you in mind. You can shop the complete lineup of new Toyota models in our showroom or walk our lot to browse our selection of used vehicles. Horsepower calculations based on trim engine configuration. Fuel economy calculations based on original manufacturer data for trim engine configuration. Please confirm the accuracy of the included equipment by calling us prior to purchase. LE trim, MAGNETIC GRAY METALLIC exterior and BLACK interior. EPA 33 MPG Hwy/25 MPG City! Smart Device Integration, WiFi Hotspot, All Wheel Drive, BLIND SPOT MONITOR W/LANE CHANGE ASSI... FOUR SEASON FLOOR LINER/MAT PACKAGE READ MORE! KEY FEATURES INCLUDE All Wheel Drive, Back-Up Camera, iPod/MP3 Input, Onboard Communications System, Smart Device Integration, WiFi Hotspot. Rear Spoiler, MP3 Player, Keyless Entry, Privacy Glass, Child Safety Locks. OPTION PACKAGES BLIND SPOT MONITOR W/LANE CHANGE ASSIST Blind Spot Monitor, rear cross traffic alert and lane change assist, FOUR SEASON FLOOR LINER/MAT PACKAGE Carpet Cargo Mat, Carpet Floor Mats, All Weather Floor Liners. Toyota LE with MAGNETIC GRAY METALLIC exterior and BLACK interior features a 4 Cylinder Engine with 203 HP at 6600 RPM*. EXPERTS ARE SAYING Edmunds.com's review says The RAV4 has one of the most spacious cabins in the segment drivers and adult passengers should have plenty of room.. Great Gas Mileage: 33 MPG Hwy. OUR OFFERINGS Baxter Toyota La Vista, a full-service Toyota dealership serving Omaha, offers new, used and certified pre-owned cars. We're part of Baxter Auto, the largest dealer group in Nebraska. Located off I-80 and Harrison Street, our showroom is designed with you in mind. You can shop the complete lineup of new Toyota models in our showroom or walk our lot to browse our selection of used vehicles. Horsepower calculations based on trim engine configuration. Fuel economy calculations based on original manufacturer data for trim engine configuration. Please confirm the accuracy of the included equipment by calling us prior to purchase. LE trim, MAGNETIC GRAY METALLIC exterior and BLACK interior. Smart Device Integration, WiFi Hotspot, All Wheel Drive, BLIND SPOT MONITOR W/LANE CHANGE ASSI... FOUR SEASON FLOOR LINER/MAT PACKAGE. EPA 33 MPG Hwy/25 MPG City! CLICK ME! KEY FEATURES INCLUDE All Wheel Drive, Back-Up Camera, iPod/MP3 Input, Onboard Communications System, Smart Device Integration, WiFi Hotspot Rear Spoiler, MP3 Player, Keyless Entry, Privacy Glass, Child Safety Locks. OPTION PACKAGES BLIND SPOT MONITOR W/LANE CHANGE ASSIST Blind Spot Monitor, rear cross traffic alert and lane change assist, FOUR SEASON FLOOR LINER/MAT PACKAGE Carpet Cargo Mat, Carpet Floor Mats, All Weather Floor Liners. Toyota LE with MAGNETIC GRAY METALLIC exterior and BLACK interior features a 4 Cylinder Engine with 203 HP at 6600 RPM*. EXPERTS ARE SAYING The RAV4 has one of the most spacious cabins in the segment drivers and adult passengers should have plenty of room. -Edmunds.com. Great Gas Mileage: 33 MPG Hwy. BUY FROM AN AWARD WINNING DEALER Baxter Toyota La Vista, a full-service Toyota dealership serving Omaha, offers new, used and certified pre-owned cars. We're part of Baxter Auto, the largest dealer group in Nebraska. Located off I-80 and Harrison Street, our showroom is designed with you in mind. You can shop the complete lineup of new Toyota models in our showroom or walk our lot to browse our selection of used vehicles. Horsepower calculations based on trim engine configuration. Fuel economy calculations based on original manufacturer data for trim engine configuration. Please confirm the accuracy of the included equipment by calling us prior to purchase. EPA 33 MPG Hwy/25 MPG City! Smart Device Integration, WiFi Hotspot, All Wheel Drive, BLIND SPOT MONITOR W/LANE CHANGE ASSI... FOUR SEASON FLOOR LINER/MAT PACKAGE, iPod/MP3 Input. SUPER WHITE exterior and BLACK interior, LE trim CLICK NOW! KEY FEATURES INCLUDE All Wheel Drive, Back-Up Camera, iPod/MP3 Input, Onboard Communications System, Smart Device Integration, WiFi Hotspot. Rear Spoiler, MP3 Player, Keyless Entry, Privacy Glass, Child Safety Locks. OPTION PACKAGES BLIND SPOT MONITOR W/LANE CHANGE ASSIST Blind Spot Monitor, rear cross traffic alert and lane change assist, FOUR SEASON FLOOR LINER/MAT PACKAGE Carpet Cargo Mat, Carpet Floor Mats, All Weather Floor Liners. Toyota LE with SUPER WHITE exterior and BLACK interior features a 4 Cylinder Engine with 203 HP at 6600 RPM*. EXPERTS REPORT Edmunds.com's review says The RAV4 has one of the most spacious cabins in the segment drivers and adult passengers should have plenty of room.. Great Gas Mileage: 33 MPG Hwy. WHY BUY FROM US Baxter Toyota La Vista, a full-service Toyota dealership serving Omaha, offers new, used and certified pre-owned cars. We're part of Baxter Auto, the largest dealer group in Nebraska. Located off I-80 and Harrison Street, our showroom is designed with you in mind. You can shop the complete lineup of new Toyota models in our showroom or walk our lot to browse our selection of used vehicles. Horsepower calculations based on trim engine configuration. Fuel economy calculations based on original manufacturer data for trim engine configuration. Please confirm the accuracy of the included equipment by calling us prior to purchase. LE trim, SILVER SKY METALLIC exterior and BLACK interior. Smart Device Integration, WiFi Hotspot, Onboard Communications System, BLIND SPOT MONITOR W/LANE CHANGE ASSI... All Wheel Drive, iPod/MP3 Input. EPA 33 MPG Hwy/25 MPG City! READ MORE! KEY FEATURES INCLUDE All Wheel Drive, Back-Up Camera, iPod/MP3 Input, Onboard Communications System, Smart Device Integration, WiFi Hotspot. Rear Spoiler, MP3 Player, Keyless Entry, Privacy Glass, Child Safety Locks. OPTION PACKAGES BLIND SPOT MONITOR W/LANE CHANGE ASSIST Blind Spot Monitor, rear cross traffic alert and lane change assist, FOUR SEASON FLOOR LINER/MAT PACKAGE Carpet Cargo Mat, Carpet Floor Mats, All Weather Floor Liners. Toyota LE with SILVER SKY METALLIC exterior and BLACK interior features a 4 Cylinder Engine with 203 HP at 6600 RPM*. EXPERTS ARE SAYING The RAV4 has one of the most spacious cabins in the segment drivers and adult passengers should have plenty of room. -Edmunds.com. Great Gas Mileage: 33 MPG Hwy. WHY BUY FROM US Baxter Toyota La Vista, a full-service Toyota dealership serving Omaha, offers new, used and certified pre-owned cars. We're part of Baxter Auto, the largest dealer group in Nebraska. Located off I-80 and Harrison Street, our showroom is designed with you in mind. You can shop the complete lineup of new Toyota models in our showroom or walk our lot to browse our selection of used vehicles. Horsepower calculations based on trim engine configuration. Fuel economy calculations based on original manufacturer data for trim engine configuration. Please confirm the accuracy of the included equipment by calling us prior to purchase. EPA 33 MPG Hwy/25 MPG City! Smart Device Integration, WiFi Hotspot, All Wheel Drive, BLIND SPOT MONITOR W/LANE CHANGE ASSI... FOUR SEASON FLOOR LINER/MAT PACKAGE, iPod/MP3 Input. LE trim, SUPER WHITE exterior and BLACK interior CLICK ME! KEY FEATURES INCLUDE All Wheel Drive, Back-Up Camera, iPod/MP3 Input, Onboard Communications System, Smart Device Integration, WiFi Hotspot. Rear Spoiler, MP3 Player, Keyless Entry, Privacy Glass, Child Safety Locks. OPTION PACKAGES BLIND SPOT MONITOR W/LANE CHANGE ASSIST Blind Spot Monitor, rear cross traffic alert and lane change assist, FOUR SEASON FLOOR LINER/MAT PACKAGE Carpet Cargo Mat, Carpet Floor Mats, All Weather Floor Liners. Toyota LE with SUPER WHITE exterior and BLACK interior features a 4 Cylinder Engine with 203 HP at 6600 RPM*. EXPERTS ARE SAYING Edmunds.com explains The RAV4 has one of the most spacious cabins in the segment drivers and adult passengers should have plenty of room.. Great Gas Mileage: 33 MPG Hwy. OUR OFFERINGS Baxter Toyota La Vista, a full-service Toyota dealership serving Omaha, offers new, used and certified pre-owned cars. We're part of Baxter Auto, the largest dealer group in Nebraska. Located off I-80 and Harrison Street, our showroom is designed with you in mind. You can shop the complete lineup of new Toyota models in our showroom or walk our lot to browse our selection of used vehicles. Horsepower calculations based on trim engine configuration. Fuel economy calculations based on original manufacturer data for trim engine configuration. Please confirm the accuracy of the included equipment by calling us prior to purchase. LE trim, BLUE FLAME exterior and BLACK interior. Smart Device Integration, WiFi Hotspot, All Wheel Drive, BLIND SPOT MONITOR W/LANE CHANGE ASSI... FOUR SEASON FLOOR LINER/MAT PACKAGE, iPod/MP3 Input. EPA 33 MPG Hwy/25 MPG City! CLICK ME! KEY FEATURES INCLUDE All Wheel Drive, Back-Up Camera, iPod/MP3 Input, Onboard Communications System, Smart Device Integration, WiFi Hotspot. Rear Spoiler, MP3 Player, Keyless Entry, Privacy Glass, Child Safety Locks. OPTION PACKAGES BLIND SPOT MONITOR W/LANE CHANGE ASSIST Blind Spot Monitor, rear cross traffic alert and lane change assist, FOUR SEASON FLOOR LINER/MAT PACKAGE Carpet Cargo Mat, Carpet Floor Mats, All Weather Floor Liners. Toyota LE with BLUE FLAME exterior and BLACK interior features a 4 Cylinder Engine with 203 HP at 6600 RPM*. EXPERTS CONCLUDE Edmunds.com's review says The RAV4 has one of the most spacious cabins in the segment drivers and adult passengers should have plenty of room.. Great Gas Mileage: 33 MPG Hwy. MORE ABOUT US Baxter Toyota La Vista, a full-service Toyota dealership serving Omaha, offers new, used and certified pre-owned cars. We're part of Baxter Auto, the largest dealer group in Nebraska. Located off I-80 and Harrison Street, our showroom is designed with you in mind. You can shop the complete lineup of new Toyota models in our showroom or walk our lot to browse our selection of used vehicles. Horsepower calculations based on trim engine configuration. Fuel economy calculations based on original manufacturer data for trim engine configuration. Please confirm the accuracy of the included equipment by calling us prior to purchase. SILVER SKY METALLIC exterior and BLACK interior, LE trim. EPA 33 MPG Hwy/25 MPG City! Smart Device Integration, WiFi Hotspot, All Wheel Drive, BLIND SPOT MONITOR W/LANE CHANGE ASSI... FOUR SEASON FLOOR LINER/MAT PACKAGE READ MORE! KEY FEATURES INCLUDE All Wheel Drive, Back-Up Camera, iPod/MP3 Input, Onboard Communications System, Smart Device Integration, WiFi Hotspot Rear Spoiler, MP3 Player, Keyless Entry, Privacy Glass, Child Safety Locks. OPTION PACKAGES BLIND SPOT MONITOR W/LANE CHANGE ASSIST Blind Spot Monitor, rear cross traffic alert and lane change assist, FOUR SEASON FLOOR LINER/MAT PACKAGE Carpet Cargo Mat, Carpet Floor Mats, All Weather Floor Liners. Toyota LE with SILVER SKY METALLIC exterior and BLACK interior features a 4 Cylinder Engine with 203 HP at 6600 RPM*. EXPERTS RAVE Edmunds.com's review says The RAV4 has one of the most spacious cabins in the segment drivers and adult passengers should have plenty of room.. Great Gas Mileage: 33 MPG Hwy. VISIT US TODAY Baxter Toyota La Vista, a full-service Toyota dealership serving Omaha, offers new, used and certified pre-owned cars. We're part of Baxter Auto, the largest dealer group in Nebraska. Located off I-80 and Harrison Street, our showroom is designed with you in mind. You can shop the complete lineup of new Toyota models in our showroom or walk our lot to browse our selection of used vehicles. Horsepower calculations based on trim engine configuration. Fuel economy calculations based on original manufacturer data for trim engine configuration. Please confirm the accuracy of the included equipment by calling us prior to purchase. Smart Device Integration, WiFi Hotspot, All Wheel Drive, ALL WEATHER LINER PACKAGE, BLIND SPOT MONITOR W/LANE CHANGE ASSI... iPod/MP3 Input. LE trim, SILVER SKY METALLIC exterior and BLACK interior. EPA 33 MPG Hwy/25 MPG City! SEE MORE! KEY FEATURES INCLUDE All Wheel Drive, Back-Up Camera, iPod/MP3 Input, Onboard Communications System, Smart Device Integration, WiFi Hotspot. Rear Spoiler, MP3 Player, Keyless Entry, Privacy Glass, Child Safety Locks. OPTION PACKAGES BLIND SPOT MONITOR W/LANE CHANGE ASSIST Blind Spot Monitor, rear cross traffic alert and lane change assist, ALL WEATHER LINER PACKAGE Cargo Liner, All Weather Floor Liners. Toyota LE with SILVER SKY METALLIC exterior and BLACK interior features a 4 Cylinder Engine with 203 HP at 6600 RPM*. EXPERTS CONCLUDE The RAV4 has one of the most spacious cabins in the segment drivers and adult passengers should have plenty of room. -Edmunds.com. Great Gas Mileage: 33 MPG Hwy. WHO WE ARE Baxter Toyota La Vista, a full-service Toyota dealership serving Omaha, offers new, used and certified pre-owned cars. We're part of Baxter Auto, the largest dealer group in Nebraska. Located off I-80 and Harrison Street, our showroom is designed with you in mind. You can shop the complete lineup of new Toyota models in our showroom or walk our lot to browse our selection of used vehicles. Horsepower calculations based on trim engine configuration. Fuel economy calculations based on original manufacturer data for trim engine configuration. Please confirm the accuracy of the included equipment by calling us prior to purchase. FUEL EFFICIENT 33 MPG Hwy/25 MPG City! MIDNIGHT BLACK METALLIC exterior and BLACK interior, LE trim. Smart Device Integration, WiFi Hotspot, All Wheel Drive, BLIND SPOT MONITOR W/LANE CHANGE ASSI... Onboard Communications System SEE MORE! KEY FEATURES INCLUDE All Wheel Drive, Back-Up Camera, iPod/MP3 Input, Onboard Communications System, Smart Device Integration, WiFi Hotspot. Rear Spoiler, MP3 Player, Keyless Entry, Privacy Glass, Child Safety Locks. OPTION PACKAGES BLIND SPOT MONITOR W/LANE CHANGE ASSIST Blind Spot Monitor, rear cross traffic alert and lane change assist, FOUR SEASON FLOOR LINER/MAT PACKAGE Carpet Cargo Mat, Carpet Floor Mats, All Weather Floor Liners. Toyota LE with MIDNIGHT BLACK METALLIC exterior and BLACK interior features a 4 Cylinder Engine with 203 HP at 6600 RPM*. EXPERTS ARE SAYING Great Gas Mileage: 33 MPG Hwy. WHY BUY FROM US Baxter Toyota La Vista, a full-service Toyota dealership serving Omaha, offers new, used and certified pre-owned cars. We're part of Baxter Auto, the largest dealer group in Nebraska. Located off I-80 and Harrison Street, our showroom is designed with you in mind. You can shop the complete lineup of new Toyota models in our showroom or walk our lot to browse our selection of used vehicles. Horsepower calculations based on trim engine configuration. Fuel economy calculations based on original manufacturer data for trim engine configuration. Please confirm the accuracy of the included equipment by calling us prior to purchase. MAGNETIC GRAY METALLIC exterior and BLACK interior, LE trim. Smart Device Integration, WiFi Hotspot, All Wheel Drive, BLIND SPOT MONITOR W/LANE CHANGE ASSI... Onboard Communications System. FUEL EFFICIENT 33 MPG Hwy/25 MPG City! READ MORE! KEY FEATURES INCLUDE All Wheel Drive, Back-Up Camera, iPod/MP3 Input, Onboard Communications System, Smart Device Integration, WiFi Hotspot. Rear Spoiler, MP3 Player, Keyless Entry, Privacy Glass, Child Safety Locks. OPTION PACKAGES BLIND SPOT MONITOR W/LANE CHANGE ASSIST Blind Spot Monitor, rear cross traffic alert and lane change assist, FOUR SEASON FLOOR LINER/MAT PACKAGE Carpet Cargo Mat, Carpet Floor Mats, All Weather Floor Liners. Toyota LE with MAGNETIC GRAY METALLIC exterior and BLACK interior features a 4 Cylinder Engine with 203 HP at 6600 RPM*. EXPERTS CONCLUDE Edmunds.com's review says The RAV4 has one of the most spacious cabins in the segment drivers and adult passengers should have plenty of room.. Great Gas Mileage: 33 MPG Hwy. WHY BUY FROM US Baxter Toyota La Vista, a full-service Toyota dealership serving Omaha, offers new, used and certified pre-owned cars. We're part of Baxter Auto, the largest dealer group in Nebraska. Located off I-80 and Harrison Street, our showroom is designed with you in mind. You can shop the complete lineup of new Toyota models in our showroom or walk our lot to browse our selection of used vehicles. Horsepower calculations based on trim engine configuration. Fuel economy calculations based on original manufacturer data for trim engine configuration. Please confirm the accuracy of the included equipment by calling us prior to purchase. LE trim, MIDNIGHT BLACK METALLIC exterior and NUTMEG interior. Smart Device Integration, WiFi Hotspot, All Wheel Drive, BLIND SPOT MONITOR W/LANE CHANGE ASSI... FOUR SEASON FLOOR LINER/MAT PACKAGE. EPA 33 MPG Hwy/25 MPG City! READ MORE! KEY FEATURES INCLUDE All Wheel Drive, Back-Up Camera, iPod/MP3 Input, Onboard Communications System, Smart Device Integration, WiFi Hotspot Rear Spoiler, MP3 Player, Keyless Entry, Privacy Glass, Child Safety Locks. OPTION PACKAGES BLIND SPOT MONITOR W/LANE CHANGE ASSIST Blind Spot Monitor, rear cross traffic alert and lane change assist, FOUR SEASON FLOOR LINER/MAT PACKAGE Carpet Cargo Mat, Carpet Floor Mats, All Weather Floor Liners. Toyota LE with MIDNIGHT BLACK METALLIC exterior and NUTMEG interior features a 4 Cylinder Engine with 203 HP at 6600 RPM*. EXPERTS RAVE The RAV4 has one of the most spacious cabins in the segment drivers and adult passengers should have plenty of room. -Edmunds.com. Great Gas Mileage: 33 MPG Hwy. OUR OFFERINGS Baxter Toyota La Vista, a full-service Toyota dealership serving Omaha, offers new, used and certified pre-owned cars. We're part of Baxter Auto, the largest dealer group in Nebraska. Located off I-80 and Harrison Street, our showroom is designed with you in mind. You can shop the complete lineup of new Toyota models in our showroom or walk our lot to browse our selection of used vehicles. Horsepower calculations based on trim engine configuration. Fuel economy calculations based on original manufacturer data for trim engine configuration. Please confirm the accuracy of the included equipment by calling us prior to purchase. RUBY FLARE PEARL exterior and BLACK interior, LE trim. EPA 33 MPG Hwy/25 MPG City! Smart Device Integration, WiFi Hotspot, All Wheel Drive, BLIND SPOT MONITOR W/LANE CHANGE ASSI... FOUR SEASON FLOOR LINER/MAT PACKAGE. CLICK NOW! KEY FEATURES INCLUDE All Wheel Drive, Back-Up Camera, iPod/MP3 Input, Onboard Communications System, Smart Device Integration, WiFi Hotspot Rear Spoiler, MP3 Player, Keyless Entry, Privacy Glass, Child Safety Locks. OPTION PACKAGES BLIND SPOT MONITOR W/LANE CHANGE ASSIST Blind Spot Monitor, rear cross traffic alert and lane change assist, FOUR SEASON FLOOR LINER/MAT PACKAGE Carpet Cargo Mat, Carpet Floor Mats, All Weather Floor Liners. Toyota LE with RUBY FLARE PEARL exterior and BLACK interior features a 4 Cylinder Engine with 203 HP at 6600 RPM*. EXPERTS CONCLUDE Edmunds.com's review says The RAV4 has one of the most spacious cabins in the segment drivers and adult passengers should have plenty of room.. Great Gas Mileage: 33 MPG Hwy. OUR OFFERINGS Baxter Toyota La Vista, a full-service Toyota dealership serving Omaha, offers new, used and certified pre-owned cars. We're part of Baxter Auto, the largest dealer group in Nebraska. Located off I-80 and Harrison Street, our showroom is designed with you in mind. You can shop the complete lineup of new Toyota models in our showroom or walk our lot to browse our selection of used vehicles. Horsepower calculations based on trim engine configuration. Fuel economy calculations based on original manufacturer data for trim engine configuration. Please confirm the accuracy of the included equipment by calling us prior to purchase. LE trim, RUBY FLARE PEARL exterior and BLACK interior. EPA 33 MPG Hwy/25 MPG City! Smart Device Integration, WiFi Hotspot, All Wheel Drive, BLIND SPOT MONITOR W/LANE CHANGE ASSI... FOUR SEASON FLOOR LINER/MAT PACKAGE. CLICK ME! KEY FEATURES INCLUDE All Wheel Drive, Back-Up Camera, iPod/MP3 Input, Onboard Communications System, Smart Device Integration, WiFi Hotspot. Rear Spoiler, MP3 Player, Keyless Entry, Privacy Glass, Child Safety Locks. OPTION PACKAGES BLIND SPOT MONITOR W/LANE CHANGE ASSIST Blind Spot Monitor, rear cross traffic alert and lane change assist, FOUR SEASON FLOOR LINER/MAT PACKAGE Carpet Cargo Mat, Carpet Floor Mats, All Weather Floor Liners. Toyota LE with RUBY FLARE PEARL exterior and BLACK interior features a 4 Cylinder Engine with 203 HP at 6600 RPM*. EXPERTS RAVE The RAV4 has one of the most spacious cabins in the segment drivers and adult passengers should have plenty of room. -Edmunds.com. Great Gas Mileage: 33 MPG Hwy. BUY FROM AN AWARD WINNING DEALER Baxter Toyota La Vista, a full-service Toyota dealership serving Omaha, offers new, used and certified pre-owned cars. We're part of Baxter Auto, the largest dealer group in Nebraska. Located off I-80 and Harrison Street, our showroom is designed with you in mind. You can shop the complete lineup of new Toyota models in our showroom or walk our lot to browse our selection of used vehicles. Horsepower calculations based on trim engine configuration. Fuel economy calculations based on original manufacturer data for trim engine configuration. Please confirm the accuracy of the included equipment by calling us prior to purchase. Moonroof, WiFi Hotspot, Blind Spot Monitor, Smart Device Integration, Cross-Traffic Alert, All Wheel Drive, Back-Up Camera. XLE trim, SILVER SKY METALLIC exterior and LT. GRAY interior. FUEL EFFICIENT 33 MPG Hwy/25 MPG City! AND MORE! KEY FEATURES INCLUDE Sunroof, All Wheel Drive, Back-Up Camera, iPod/MP3 Input, Onboard Communications System, Aluminum Wheels, Keyless Start, Dual Zone A/C, Blind Spot Monitor, WiFi Hotspot, Cross-Traffic Alert, Smart Device Integration, Lane Keeping Assist Rear Spoiler, MP3 Player, Remote Trunk Release, Privacy Glass, Keyless Entry. OPTION PACKAGES FOUR SEASON FLOOR LINER/MAT PACKAGE Carpet Cargo Mat, Carpet Floor Mats, All Weather Floor Liners. Toyota XLE with SILVER SKY METALLIC exterior and LT. GRAY interior features a 4 Cylinder Engine with 203 HP at 6600 RPM*. VEHICLE REVIEWS Edmunds.com explains The RAV4 has one of the most spacious cabins in the segment drivers and adult passengers should have plenty of room.. Great Gas Mileage: 33 MPG Hwy. 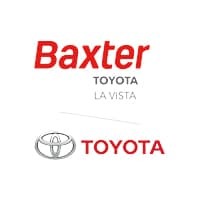 WHO WE ARE Baxter Toyota La Vista, a full-service Toyota dealership serving Omaha, offers new, used and certified pre-owned cars. We're part of Baxter Auto, the largest dealer group in Nebraska. Located off I-80 and Harrison Street, our showroom is designed with you in mind. You can shop the complete lineup of new Toyota models in our showroom or walk our lot to browse our selection of used vehicles. Horsepower calculations based on trim engine configuration. Fuel economy calculations based on original manufacturer data for trim engine configuration. Please confirm the accuracy of the included equipment by calling us prior to purchase. Moonroof, WiFi Hotspot, Blind Spot Monitor, Smart Device Integration, Cross-Traffic Alert, All Wheel Drive, Back-Up Camera, Dual Zone A/C. MIDNIGHT BLACK METALLIC exterior and NUTMEG interior, XLE trim. EPA 33 MPG Hwy/25 MPG City! READ MORE! KEY FEATURES INCLUDE Sunroof, All Wheel Drive, Back-Up Camera, iPod/MP3 Input, Onboard Communications System, Aluminum Wheels, Keyless Start, Dual Zone A/C, Blind Spot Monitor, WiFi Hotspot, Cross-Traffic Alert, Smart Device Integration, Lane Keeping Assist. Rear Spoiler, MP3 Player, Remote Trunk Release, Privacy Glass, Keyless Entry. OPTION PACKAGES FOUR SEASON FLOOR LINER/MAT PACKAGE Carpet Cargo Mat, Carpet Floor Mats, All Weather Floor Liners. Toyota XLE with MIDNIGHT BLACK METALLIC exterior and NUTMEG interior features a 4 Cylinder Engine with 203 HP at 6600 RPM*. EXPERTS ARE SAYING Edmunds.com explains The RAV4 has one of the most spacious cabins in the segment drivers and adult passengers should have plenty of room.. Great Gas Mileage: 33 MPG Hwy. MORE ABOUT US Baxter Toyota La Vista, a full-service Toyota dealership serving Omaha, offers new, used and certified pre-owned cars. We're part of Baxter Auto, the largest dealer group in Nebraska. Located off I-80 and Harrison Street, our showroom is designed with you in mind. You can shop the complete lineup of new Toyota models in our showroom or walk our lot to browse our selection of used vehicles. Horsepower calculations based on trim engine configuration. Fuel economy calculations based on original manufacturer data for trim engine configuration. Please confirm the accuracy of the included equipment by calling us prior to purchase. Moonroof, WiFi Hotspot, Blind Spot Monitor, Smart Device Integration, Cross-Traffic Alert, All Wheel Drive, Back-Up Camera. XLE trim, SILVER SKY METALLIC exterior and LT. GRAY interior. FUEL EFFICIENT 33 MPG Hwy/25 MPG City! SEE MORE! KEY FEATURES INCLUDE Sunroof, All Wheel Drive, Back-Up Camera, iPod/MP3 Input, Onboard Communications System, Aluminum Wheels, Keyless Start, Dual Zone A/C, Blind Spot Monitor, WiFi Hotspot, Cross-Traffic Alert, Smart Device Integration, Lane Keeping Assist Rear Spoiler, MP3 Player, Remote Trunk Release, Privacy Glass, Keyless Entry. OPTION PACKAGES FOUR SEASON FLOOR LINER/MAT PACKAGE Carpet Cargo Mat, Carpet Floor Mats, All Weather Floor Liners. Toyota XLE with SILVER SKY METALLIC exterior and LT. GRAY interior features a 4 Cylinder Engine with 203 HP at 6600 RPM*. EXPERTS ARE SAYING The RAV4 has one of the most spacious cabins in the segment drivers and adult passengers should have plenty of room. -Edmunds.com. Great Gas Mileage: 33 MPG Hwy. OUR OFFERINGS Baxter Toyota La Vista, a full-service Toyota dealership serving Omaha, offers new, used and certified pre-owned cars. We're part of Baxter Auto, the largest dealer group in Nebraska. Located off I-80 and Harrison Street, our showroom is designed with you in mind. You can shop the complete lineup of new Toyota models in our showroom or walk our lot to browse our selection of used vehicles. Horsepower calculations based on trim engine configuration. Fuel economy calculations based on original manufacturer data for trim engine configuration. Please confirm the accuracy of the included equipment by calling us prior to purchase. When you’re looking to experience the perfect blend of comfort, style, and performance, you’re searching for a Toyota. Here at our Toyota dealership near Omaha, NE, you can buy or lease whatever Toyota model you love most. Our helpful Toyota sales team will show you the various models in our new Toyota inventory, ranging from the fuel-efficient Toyota Prius to the rugged Toyota Tacoma, so you can find the car, truck, van or SUV that fits your lifestyle best. Test-drive a Toyota Camry sedan for a fuel-efficient new car, or check out our selection of new Toyota RAV4 and Highlander SUVs. Don’t forget to check out our current Toyota specials before you choose your future ride, as you can save big on whichever Toyota catches your eye.